Mardi Gras, Fat Tuesday, Carnival – whatever you call it, this holiday is a good excuse for a party and as such, one of the best festivals to try to incorporate into your travels. 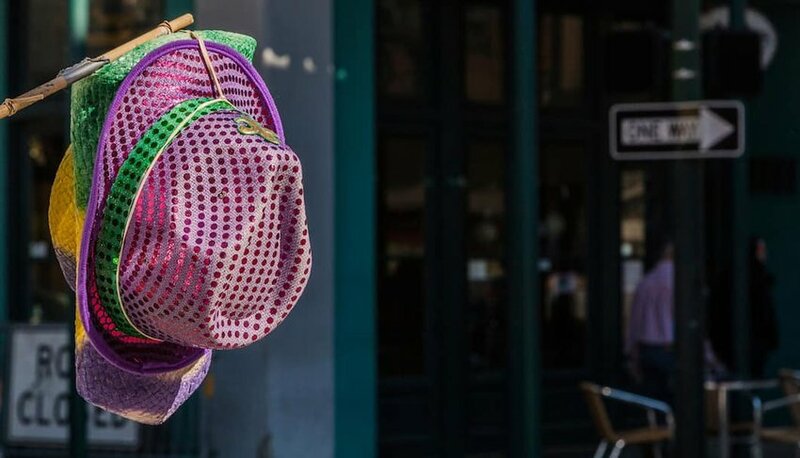 It goes without saying that Rio de Janeiro and New Orleans lead the pack, but if you’re looking for something a little different, why not try these five surprising hotspots to celebrate Mardi Gras? 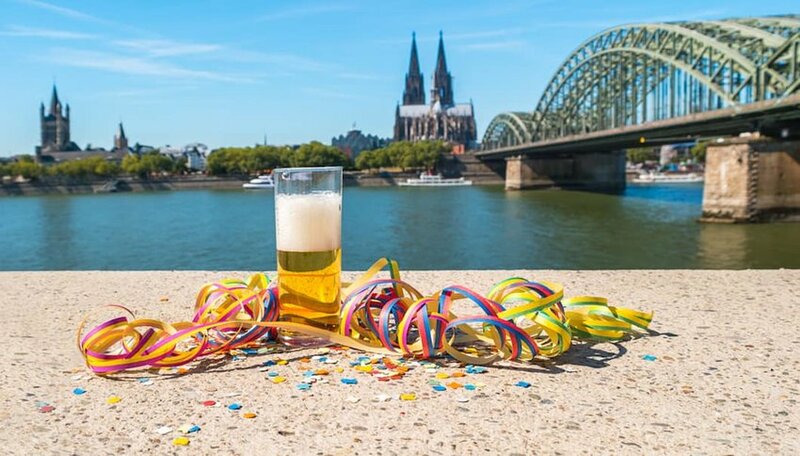 In Germany, carnival’s referred to as the “fifth season” and in Cologne, that season stretches from November to February. The climax of the celebrations is a six-day event beginning with Weiberfastnacht, a day so raucous that the following day is officially a rest day. Women rule the holiday — men are expected to stay home to carry out household chores and those that don’t have their ties cut off. The big day for Karneval is Rosenmontag, when you’ll see processions along the streets. Veilchendienstag follows with plenty of singing, dancing and feasting which makes for a great party atmosphere. In-the-know travelers make for the Caribbean nation of Haiti in February. The sleepy town of Jacmel made its money from the coffee trade but these days it’s famous for its carnival, held a week before Shrove Tuesday to avoid clashing with the celebrations taking place in the capital, Port au Prince. 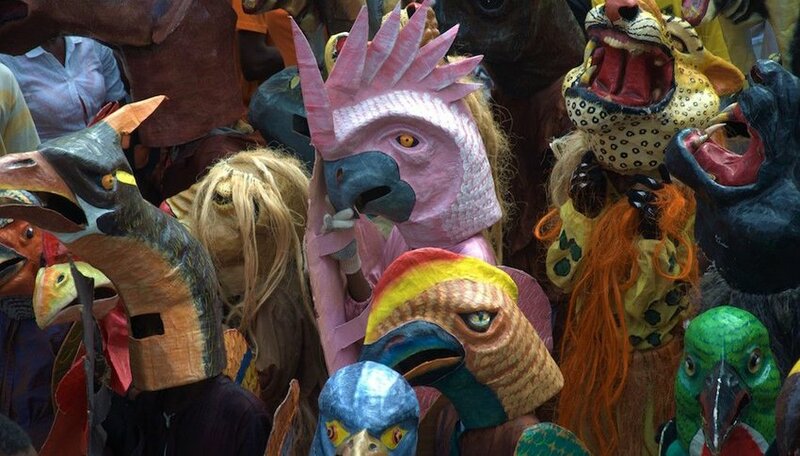 It's characterized by figures wearing oversized papier-mâché heads which take the form of animals, mythical birds and Vodou spirits. Look out for the clacking of the bird-like Mathurin and the Lanset Kod, covered in charcoal dust and cane syrup. It’s a colorful spectacle and one rich with tradition and symbolic meaning. 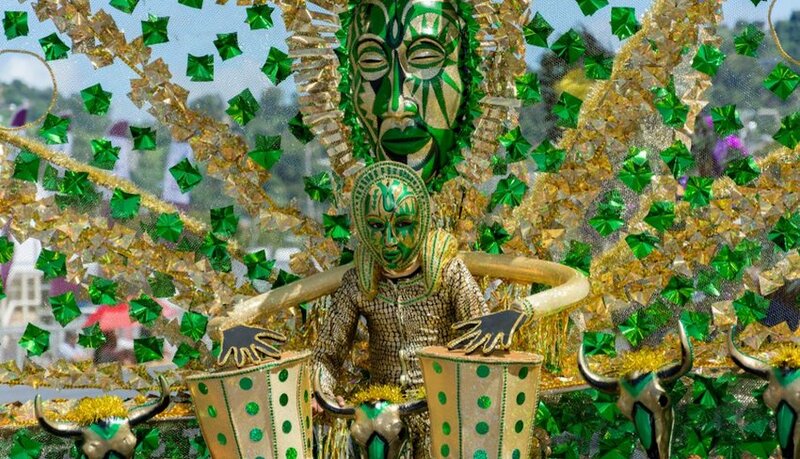 Trinidad’s carnival rivals that of Rio de Janeiro for vibrancy and fun. J’ouvert kicks things off — its French name is a nod to the plantation owners who introduced it pre-independence, its street parties introduced by newly-emancipated slaves. In the early hours of Carnival Monday, people throw paint, chocolate, mud, water – in fact, pretty much anything they can get their hands on. Once the sun comes up and the bands lead the parades, you’ll see plenty of evidence of who’s been up half the night partying. Sequins and feathers abound and dancers keep time to the beat from the steel drums. Throughout, the rum flows freely. This is not a spectator event. Ditch your inhibitions and join in with glorious abandon. The carnival held in Barranquilla is one of the biggest in the world and encompasses four days of festivities. 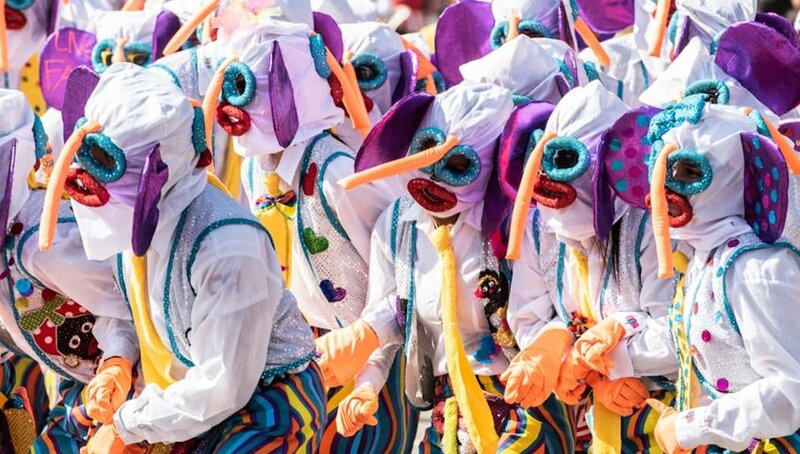 One of the most iconic images of the event is the sight of the Marimonda, a long-nosed creature that’s the clown of the procession. Numerous dances are performed representing the different cultural influences that have shaped present-day Colombia – Spanish, African and indigenous. The whole thing kicks off with a parade known as the Batalla de Flores during which the carnival King and Queen are crowned. New Orleans might attract all the attention but it’s Mobile, Alabama that lays claim to the oldest Mardi Gras in the USA. It began in 1703 when Mobile was the capital of Louisiana, a full fifteen years before New Orleans was founded. It was revived after the Civil War and the parades have been an annual event ever since. Elaborate floats, masked mystic societies and marching bands ensure this is a carnival that entertains. Just watch out for flying MoonPies – an estimated half a million are thrown into the crowd each year. While you’re there, make time for a visit to the Mobile Carnival Museum which documents the 300 year history of this fun tradition.